Web-based time and attendance suite and more. Is there a better alternative to TimeTrex Time and Attendance? Is TimeTrex Time and Attendance really the best app in Applications category? Will TimeTrex Time and Attendance work good on macOS 10.13.4? Version 7.3.6: Release notes were unavailable when this listing was updated. PHP, a webserver and a database. TimeTrex Time and Attendance needs a rating. Be the first to rate this app and get the discussion started! TimeTrex Time and Attendance is web-based Time And Attendance suite which offers Employee Time and Attendance (timeclock, timecard, timesheet) and Payroll all in single tightly integrated package. With the ability to interface with hardware such as iButtons, barcode readers and cell phones employees are able to efficiently track their time at the office or on the road. 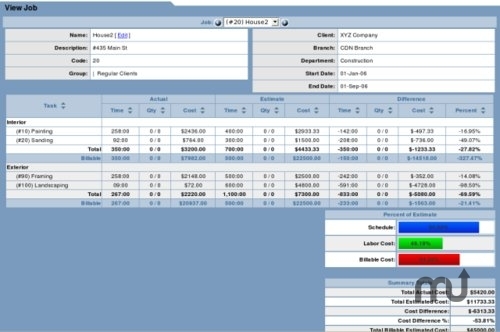 Automatically calculate complex over time and premium time business policies and immediately be able to identify labor costs attributed to branches, and departments. Finally TimeTrex can process your payroll by calculating withholding taxes, generate detailed electronic pay stubs and even print paychecks or direct deposit funds.